For some, it's a familiar question on a grey, winter morning: Should I drive in for those meetings, or join online? Researchers at the University of Guelph's Regional and Rural Broadband (R2B2) project say the average resident in southwestern Ontario will save $12,000 a year by telecommuting three days per week. Rural and peri-urban areas (where rural and urban regions meet) have the highest savings from telecommuting because their total commute distance and total time to commute are higher. This has an impact on out-of-pocket costs such as fuel, car maintenance and insurance. According to the Canadian Automobile Association (CAA), the cost per kilometre of driving a mid-size vehicle with an average consumption of 8.34L/100km is $0.52. Across southern Ontario, daily telecommuting distances could be as high as 152 kilometres. In Caledon, located in Peel Region northwest of Toronto, more than 57 per cent of households report at least one telecommuter. Caledon has taken proactive steps to address connectivity within their area. Caledon, along with Niagara region and the Western Ontario Wardens Caucus, created the fibre-optic initiative known as SouthWest Integrated Fibre Technology (SWIFT). As research partners to SWIFT, the R2B2 project analyzed telecommuting from 4,000 premises across the Niagara region, Caledon and southwestern Ontario. It's the first major study in Canada in recent years on employee savings from telecommuting since the 2015 U.S.-based Global Workplace Analytics White Paper. The Statistics Canada's report Journey to Work: Key Results from the 2016 Census outlines general trends that find 15.9 million Canadians are commuting each day. 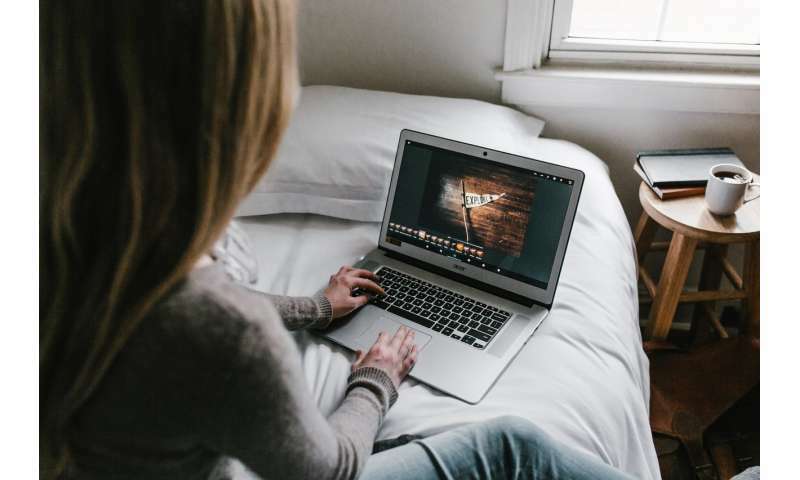 The Conference Board of Canada conducted a survey in 2017 that found that nine out of 10 organizations in Canada promote working remotely from home (referred to as flexi-work or telework). There is an important distinction here: Telecommuting means using telecommunications to avoid the use of transportation to or from the work site. This includes driving your own car, ride-sharing or taking the train. Broadband completely changes the ways Canadians live and work; this is what communications researchers Lee Rainie and Barry Wellman call the "triple revolution" implied by the proliferation of ultra-fast internet speeds, connectedness afforded by mobile technologies and life in multiple and virtual networks that cross over into real-time voice or face interactions. Sometimes the term "smart work" is used to refer to using information and communication technologies to work efficiently and conveniently regardless of time and space. Enabling smart work has been part and parcel of the opportunities for those people living in smart cities. But ultimately, despite all the "smart" rhetoric of digital technologies, there has to be a net private benefit for telecommuters that we will translate here as "more money in the pocket" at the end of the work year. In an article published by Telecommunications Policy, we report that southwestern Ontario households with two telecommuters save even more money. The typical savings for the first telecommuter telecommuting three days per week ranges from $13,980 to $17,050 per year. The second telecommuter saves between $12,108 to $20,640. Telecommuters from farms, cottages and more remote rural locations in southwestern Canada are at the higher end of the savings spectrum. We found that households operating a home-based business from the premise have an annual savings of nearly $26,000. In regions outside the greater Toronto area, more reliable and faster speed internet services is a public policy imperative. The Canadian Radio-television and Telecommunications Commission (CRTC) has declared that basic telecommunications services for all Canadians would include the target of 50 Mbps download and 10 Mbps upload internet access by 2021. More than two million Canadians do not have access to service that meets that 50/10 target. It's not just in the remote areas of our vast country where connectivity is lagging behind the national standard. Across southwestern Ontario, Niagara region and Caledon, SWIFT reports that nearly 230,000 premises do not achieve the 50/10 speed target. We also believe there are numerous reasons why the social benefits of telecommuting may exceed their calculations of the net private benefit of telecommuting. Not only does telecommuting directly reduce the use of private and public-transit vehicles on the roads; it creates social benefits in terms of less road congestion, helping drivers for whom telecommuting is not an option or not on option each day of a work week. There are other societal benefits offered by telecommuting. Other studies conducted in North America have reported that the vast majority of workers consider their commute to be a waste of time and a significant source of stress. Reduction in fatal road accidents, particularly during winter weather, are also worth considering. Polish professor Stanisław Żukowski also sees telecommuting as creating opportunities for a more inclusive society for disabled workers. The net private benefit of telecommuting in southwestern Ontario is enough to justify and support the idea of more frequent telecommuting as broadband expands further into sub-urban and rural hinterlands. Linking the planning of transportation infrastructure to improved broadband infrastructure in one of the most densely populated regions of Canada makes both sense —and cents.